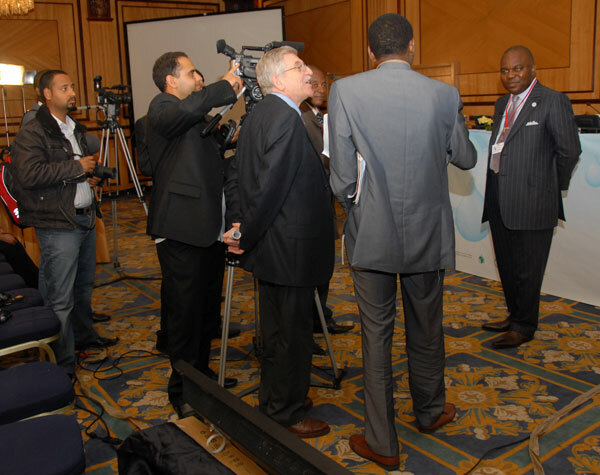 Bruno Itoua, President of the African Ministers' Council on Water (AMCOW), being interviewed on the conclusion of the First African Water Week. 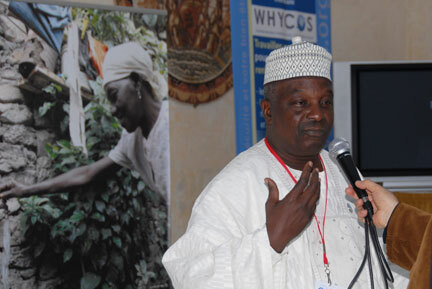 On their third and final day of the AWW-1, participants met in a morning plenary to consider 'Stakeholders' Role and Partnerships', following which they met in three parallel working groups on institutional development and capacity-building, water harvesting and reuse, and climate change adaptation. 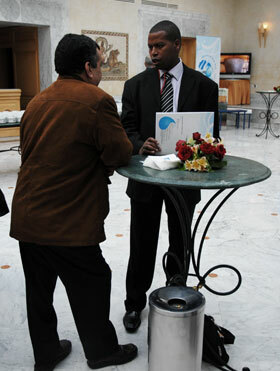 An early afternoon plenary was convened to launch the African regional process of the 5th World Water Forum. 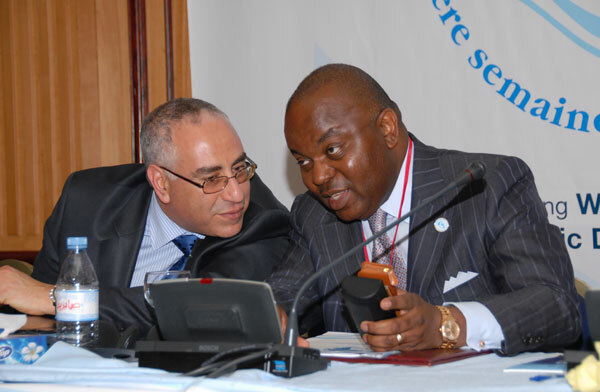 The closing plenary was convened by AMCOW President Bruno Itoua at 4:40 pm, where African Ministers presented their declaration from AWW-1. 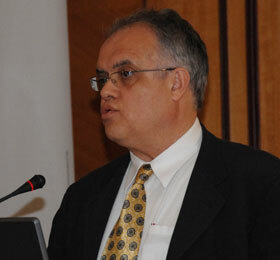 Participants considered and approved the report of the meeting, and heard closing statements by AMCOW President Itoua, and representatives of the Government of Tunisia and the African Development Bank. 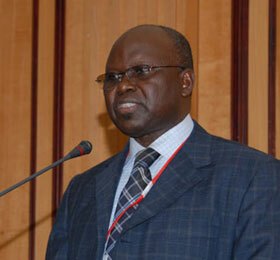 Co-Chair Itoua called the AWW-1 to a close at 6:53 pm. 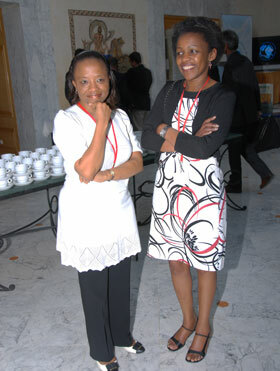 Co-Chair Letitia Obeng with some of the presenters. 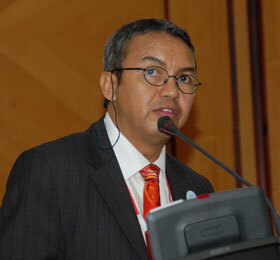 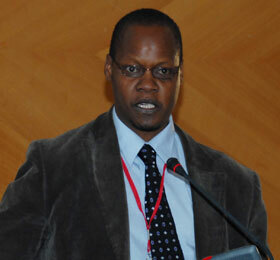 P. Victoria, Veolia Water, spoke on public private partnerships in achieving water security. 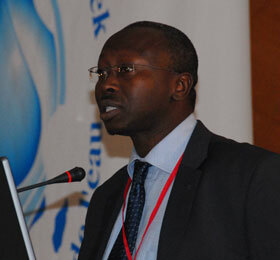 Simon Thuo, Global Water Partnership, Eastern Africa presented on Stakeholders Roles and Partnerships. 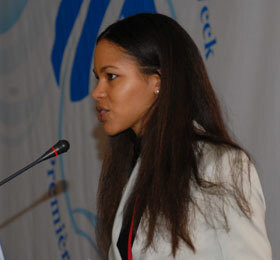 Letitia Obeng, Co-Chair presided over the session. 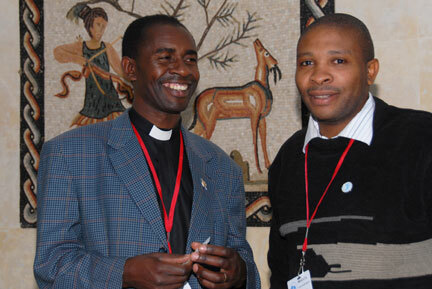 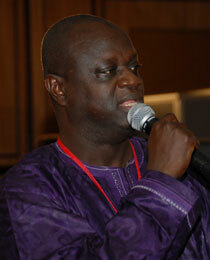 Malik Gaye, ENDA/ANEW presented on best practices led by civil society networks. 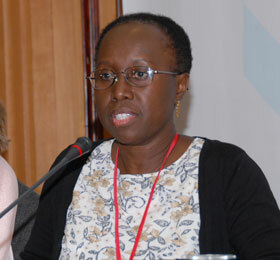 Audrey Nepvu, International Fund for Agricultural Development, presented on the Gash Sustainable Livelihoods Regeneration Project. 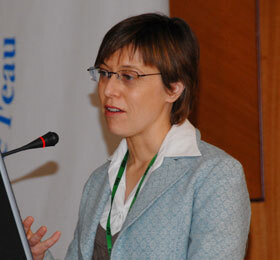 Sophia Sandström, Japan Water Forum presented on inter-regional partnerships. 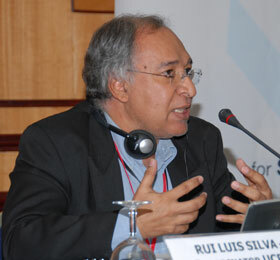 Rui Luis Silva, Economic Community of West African States made comments on partnerships. 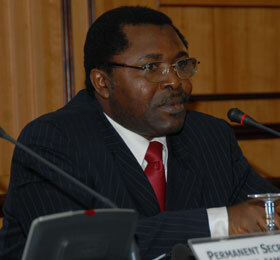 Co-Chair of the Working Group on Stakeholders Role and Partnerships, Fritzgerald Nasako, Permanent Secretary, Ministry of Energy and Water Resources, Cameroon. 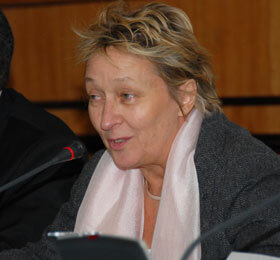 Panel member Monique le Genissel, European Commission, emphasised that the EC favours partnerships in its funding. 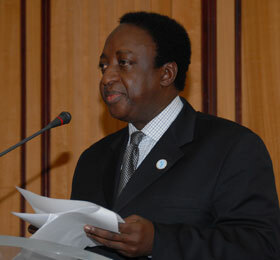 L-R: Daniel Zimmer, Executive Director of the World Water Forum; Olcay Unver, World Water Assessment Programme; Co-Chairs Bikoro Munyanganizi, Minister of State in charge of Environment, Water and Mines, Rwanda and William Cosgrove, Honorary President, World Water Council; Jerome Priscoli, US Corps of Engineers, moderated the session; Ahmet Saatçi, Deputy Secretary General of the 5th World Water Forum. 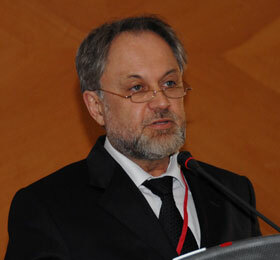 Ahmet Saatçi, talked about the 5th World Water Forum. 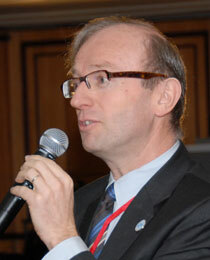 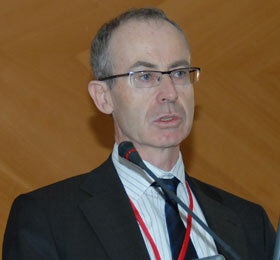 Daniel Zimmer briefed delegates on the 2009 5th World Water Forum. 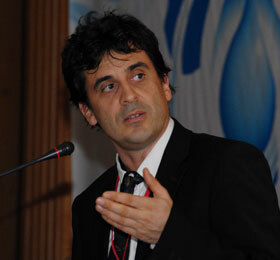 Olcay Unver spoke on the 3rd World Water Development Report. 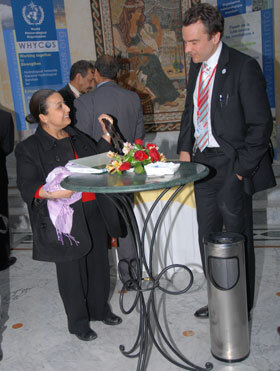 Mounir Boumessouer, Head of Cabinet, Ministry of Agriculture and Hydrological Resources, Tunisia, and AMCOW President Bruno Itoua in consultation. 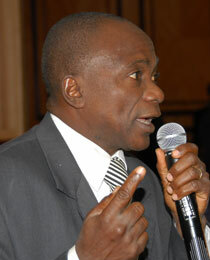 Kwabena Manu, Lead Rapporteur presented the report of the meeting. 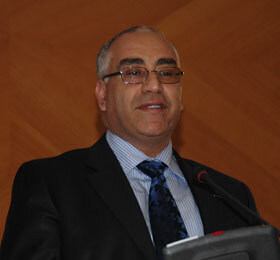 Mounir Boumessouer Head of Cabinet, Ministry of Agriculture and Hydrological Resources, Tunisia, made the closing remarks on behalf of Minister Mohamed Habib Haddad. 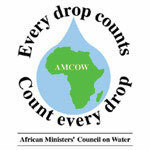 AMCOW Technical Advisory Committee Chair Charles Ngangoue presented the Ministerial Declaration on Accelerating Water Security for Africa's Socio-Economic Development. 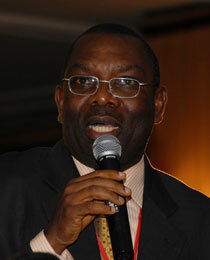 Andrianarison Rakotobe, Director, African Development Bank made closing remarks on behalf of the Bank. 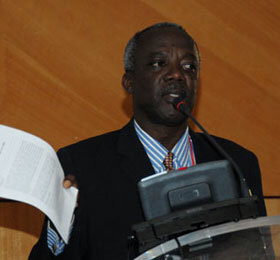 Halifa Drammeh, UNEP commented on the Ministerial Declaration. 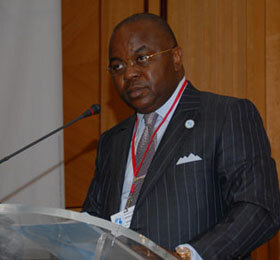 AMCOW President closes the First African Water Week at 6.53pm.